Sermon on Matthew 5:13-20 offered to the people of the Church of the Heavenly Rest on February 9, 2014. 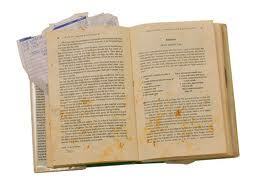 When I first learned to cook, I was scrupulous about following recipes. If a cookbook told me to heat something over medium-high heat, I would carefully turn the knob on the stove so that the arrow rested on the precise midpoint between “medium” and “high.” When a bread recipe instructed me to knead dough for ten minutes, I would set a timer and press that dough against the counter until the precise moment the bell rang. Most importantly, when a dish called for a teaspoon of salt, I would pour salt into a measuring spoon, careful not to add even a few extra grains to the dish. After all, I didn’t want the food I prepared to be too salty. For the most part, this scrupulosity seemed to pay off. The results of my first attempts at cooking were mostly edible, and some were even moderately successful. But when I watched more experienced people cook, I noticed that they tended to be less wedded to the recipe. When my father heated something on the stove, he would turn the knob without carefully examining the place it landed. When my mother kneaded bread dough, she wouldn’t set a timer to tell her when to stop; she would know how the dough was supposed to feel after it had been kneaded. Perhaps the most shocking revelation was that when my parents cooked, they didn’t carefully measure out the salt they added to dishes. In fact, they grabbed what appeared to be huge handfuls of salt and used those to season whatever they were preparing. The first time I saw this, I shouted, “What are you doing? It’s going to be too salty!” Giving me a knowing smile, they said, “Just wait and see.” Of course, those well-seasoned dishes were not salty at all; in fact, they were far more flavorful and complex than those dishes that I had assembled so scrupulously. It gradually dawned on me that the primary purpose of salt in cooking is not to make food salty; it is to make food taste the way it is supposed to taste. The purpose of salt is to make a dish what it is supposed to be. Why is Jesus setting this impossibly high standard? Doesn’t this insistence on the Law seem inconsistent with what we know about Jesus? To answer these questions, it might be helpful for us to think about the purpose of the Law. For the Jewish people, the Law was the lens through which they understood their relationship with God. During the Babylonian captivity, Israel was unable to worship at the Temple in Jerusalem, and so the Law became what defined them. It was a way of continuing to be God’s people even though they had been driven from the land God had given to them. The Law retained a central role even as the Jewish people returned from captivity and dwelled in the land promised to them by God. There were, however, some who regarded the Law not as a way to be in relationship with God, but as an end in itself. There were some who were scrupulous about keeping the law so that they would be blameless, so that they would be perfect, so that they could look in the mirror and say, “Boy, I sure am righteous.” In other words, there were some who regarded the law as a recipe for righteousness, who said “as long as I set the burner at precisely the right temperature, as long as knead the dough for just the right amount of time, as long as I add just the right amount of salt, I will be righteous under the law.” Jesus, however, comes along and tells us that he has come to fulfill the Law, to remind us of its primary purpose, to return our focus from following the recipe to being in relationship with God. This is where we see that those two metaphors that Jesus uses at the beginning of this passage are far from unrelated to his meditations about the Law. Jesus tells his hearers that they are the salt of the earth and that they are the light of the world. Notice what Jesus does not say. He does not say, “If you follow the Law, you will be the salt of the earth” or “If you abide by these beatitudes, you will be the light of the world.” Rather, Jesus says, “You are the salt of the earth” and “You are the light of the world.” Right here. Right now. Moreover, Jesus is very specific about who he is talking to. We don’t get the sense of it in English, but the Greek makes it very clear that Jesus is talking to everyone in front of him: “All y’all are the salt of the earth. All y’all are the light of the world. Each and every one of you is called to enlighten this world and help it to be what it is supposed to be.” This is how our righteousness is meant to exceed that of the scribes and the Pharisees. While they are focused on following the recipe and reaching the goal of making themselves righteous, we are to realize that we are already who God has called us to be. Our righteousness does not come from our successful completion of the Law’s requirements; our righteousness comes from the God who loves us and desires a relationship with us. Our righteousness does not come from following the recipe; our righteousness comes from realizing that we are salt, that we are called to season the world and make it what God desires it to be. It is clear that our identity as the salt of the earth is meant to shape our lives. But this begs the question: how do we live our lives with the understanding that we are salt? 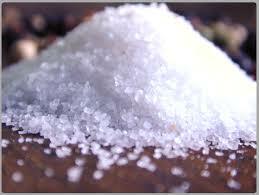 Jesus tells us that we are the salt of the earth, but immediately adds a caveat: “if salt has lost its taste, how can its saltiness be restored?” The way that the question is worded indicates that once it has lost its saltiness, salt’s taste cannot be restored, that it is now worthless and needs to be thrown away. This seems to imply that if we are not careful, we will lose our saltiness and become worthless in the eyes of God. But here’s the thing: if you ask a scientist, she will tell you that salt cannot lose its saltiness. Sodium chloride is a remarkably stable compound that will not lose its flavor even after being stored for many years. So is Jesus saying that unlike real salt, we can lose our saltiness? That just doesn’t seem consistent with the rest of this passage. In the very next metaphor, Jesus tells us that we are the light of the world and that a city on a hill cannot be hidden, implying that any attempts to conceal the light are going fail. It seems far more likely that Jesus is saying that even if we think we have lost our saltiness, we are still salt. Even if we feel as though we have abandoned our call to bring God’s savor to the world, we are still who God has called us to be. Even if we think we are worthless in the eyes of God, God still loves us and desires a relationship with us. Whether you nurture your life of faith on a daily basis or you feel that your faith has been dormant for a long time; you are the salt of the earth. Whether you have been here every Sunday for the past thirty years or this is the first time you have ever been inside a church building; you are the salt of the earth. Whether you embrace the life of this community or you have turned away from it; you are the salt of the earth. No matter where you have been or what you have done, you are who God has called you to be. In light of this identity, in light of who God has called you to be: Jesus Christ invites you, Jesus Christ invites all of us to be salt. Jesus Christ invites us to be salt by bringing God’s savor to a world that craves compassion and justice. Jesus Christ invites us to be salt by seasoning a world that is hungry for hope and beauty. Above all, Jesus Christ invites us to be salt by filling the world with God’s love and helping the world be what it is supposed to be.